Here’s a game to play with an adult! This is a basic form of the ancient game of Nim. You will also need seven objects, such as counters or blocks. 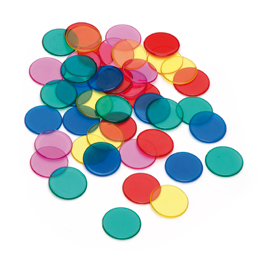 Place the 7 counters in a pile and starting with the adult, take turns to take away either one or two counters. The person who takes the last counter wins. Swap who goes first, and keep playing until you work out a winning strategy. What happens when there are three counters left? How can you win at this game? There are more Nim-like games here. This game offers a motivating context in which children can improve their logical thinking skills. It is a low threshold high ceiling game. Easier version: record a game and look back together at key moments. Harder version: try starting the game with different numbers of counters. Counting. PrimaryGames-Strategy. Generalising. Visualising. Creating and manipulating expressions and formulae. PrimaryGames-Number. Games. Working systematically. Mathematical reasoning & proof. Interactivities.